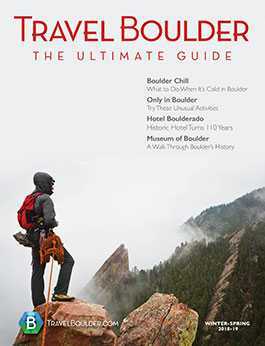 For more than 100 years, Hotel Boulderado has been one of the most famous landmarks in Boulder, Colorado. Located in the heart of downtown, it is one block away from the popular Pearl Street Mall. All rooms are elegantly appointed with everything you need for maximum comfort. Enjoy our elegant rooms with charming décor, plush furnishings and modern amenities. Guests revel in the luxury as all rooms enjoy sweeping views of Downtown Boulder, the Rocky Mountain foothills and the Boulder Flatirons.